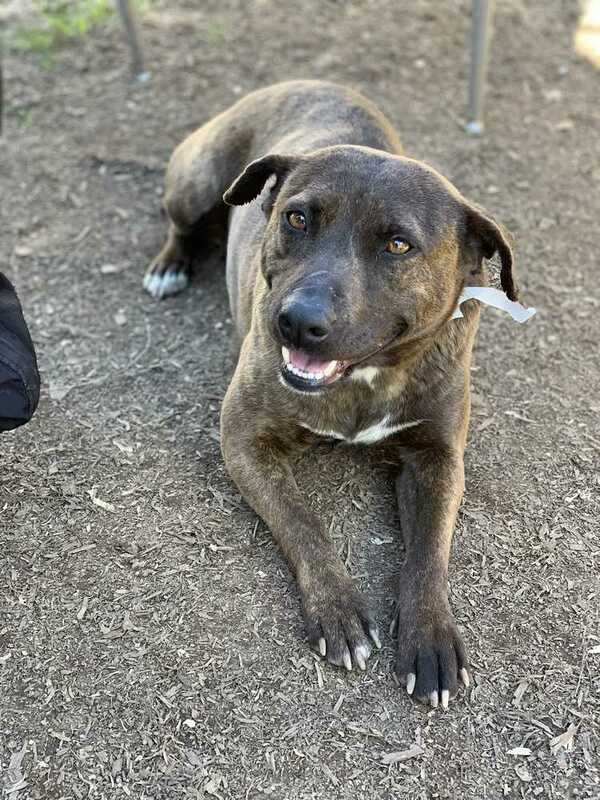 Meet Xena, 1 yr old female, medium sized mixed breed- best guess is a little pittie, maybe some heeler and maybe dachshund? Totally an adorable mutt who loves other dogs, kids, and people. She is a happy girl, doing great on her house training, social, and gets along with all. Doesn't run off, currently being fostered in a home with lots of property and she stays close. Happy girl who will make a great companion.